BE-AT.TV will today premiere a brand new live series - Off/BEAT - yesterday. 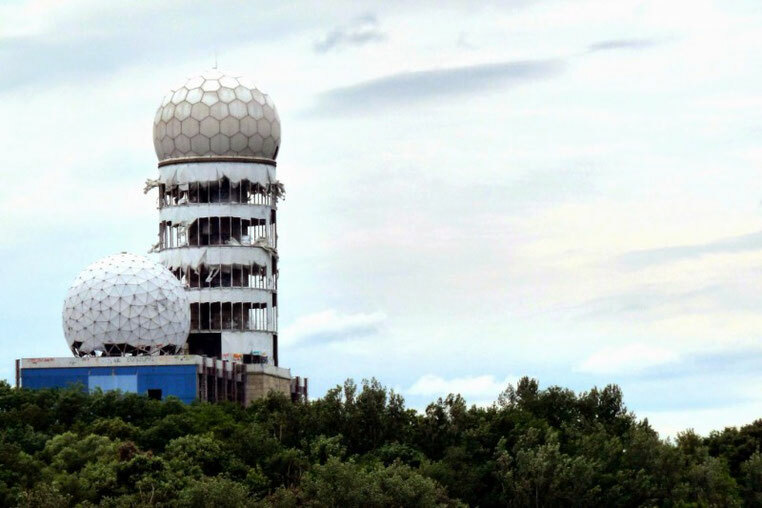 The event will take viewers to Berlin’s spy tower complex Teufelsberg, featuring exclusive live shows from Mathew Jonson with Isis and Einmusik with Jonas Saalbach. 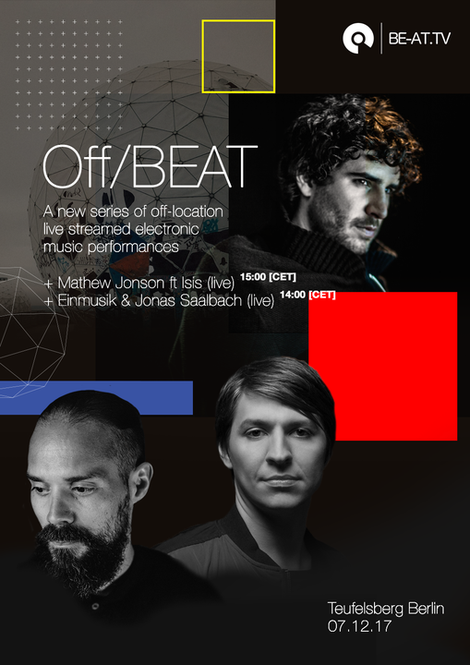 Off/BEAT aims to showcase the music of innovative and celebrated electronic performers at spectacular locations around the world, beaming it all back in high quality live and direct to you. Further details about the global events series will be revealed shortly, including the identity of those supporting the project. This first Off/BEAT episode will see multiple drone cameras encircling Teufelsberg (Devil’s Mountain) spy tower to the West of the German capital, providing unique 360° views of two live performances. The haunting space stands as an elevated monument to Cold War machinations, having been built by the USA at a time of political and physical division in the city to monitor activities in the communist East. Steeped in history, and reclaimed by residents as an otherworldly arts and community space, the tower now serves as a thought-provoking emblem highlighting the past, present and future of Berlin and its musical heritage. Einmusik, Jonas Saalbach and their bank of synths will perform from high up in the central tower, overlooking the forest and lakes beyond. Production will then move to within one of the geodesic spheres used to intercept transmissions from over the wall, as Mathew Jonson played an intimate live set - joined by vocalist Isis.